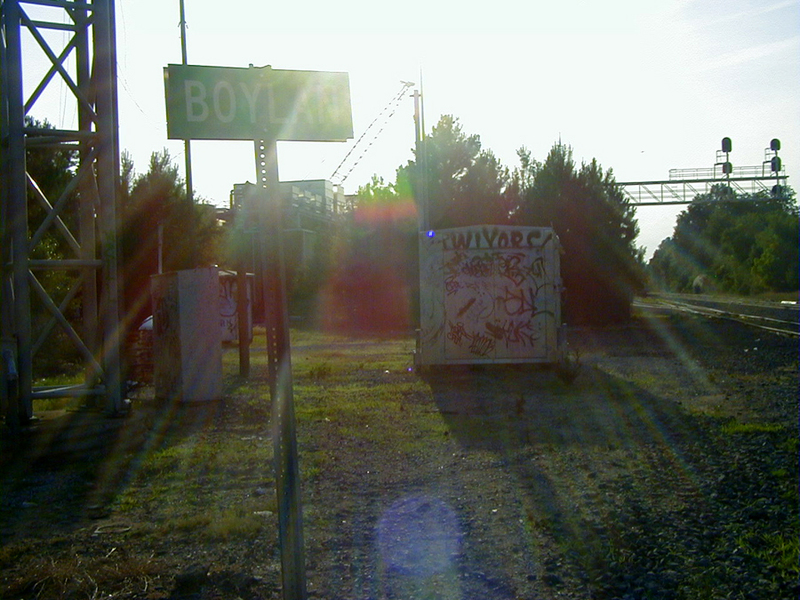 The termination of the line, the hand dug “wye” that allowed trains to turn around and head back north is still extent, marked by a recently replaced green and white, highway-type sign I coveted for years reading simply “Boylan” a nod to the immediate landowner, William Boylan, also an officer in the Raleigh and Gaston. 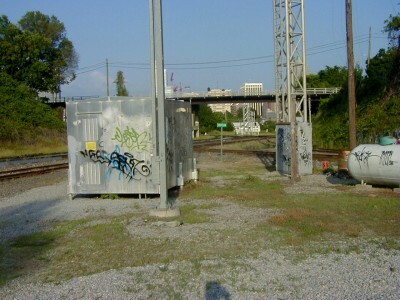 Boylan was also Raleigh’s first rail commuter, riding his own train home at night, mounting a private stairway up from the track level. Since then “Boylan” and Raleigh have been synonymous in the industry. The line was continued west out of “Boylan’s Hole” around 1850 at a necessary grade of a percent and a half or so, the steepest east of the mountains. The talk of high speed rail has brought back the early 90s, whiling away the end of the Reagan/Bush years with the likes of Jim Shell, the Larson boys, Russ, David Weaver, Credle, etc. We’d regularly school up, swill beer and jabber-jaw. One evening the news du jour of Raleigh losing passenger rail service in lieu of Charlotte ignited heated talk of a public reaction, a display guaranteed to make our dismay a topic for the news. From a seed that sprouted growing up in Raleigh, the grade out of Boylan formed the basis of a shifting, mutable plan that grew larger with every beer, less Jesse James, more Salvador Dali. In the days before X-box we kids created our own fun “down at the tracks”, never much more than hopping freights (you’d best get off before the end of the turn in Cary) and squashing pennies, strictly small change compared to legends of State students lubing the tracks with crankcase drainings, Octagon soap or what-have-you, the combination of grade and lube creating an loss of traction that would snarl the line. We borrowed history and expanded upon it, the plan to obtain a schedule and upstream of the late night Silver Star heading out of town, deploy a team and soap the tracks. Once we had the train under control and before the crew had time to react we would deliver our note into the flanks of the train, amid a great spray of aspic. Everyone had seen tennis ball cannons before, cans, tape and Zippo fluid. As our demands were to be attached (don’t ask me why) to a Prairie Home brand canned chicken, the poor pre-cooked critter’s one and only flight, our improvised “Skunk Works” needed something more robust, i.e. schedule 80 plastic pipe fueled with propane and swivel-mounted to my old Plymouth Fury convertible. The plan began to began to come unglued as we scoured the shelves of the old “Grim” Dixie, on Person, divine intervention announced by the clerk. We immediately began planning on simulating the original round. The real end was fomented by a Raleigh mission I still enjoy, even in these Internet days. On to the D.H. Hill Library for a look at steel wheel-track adhesion, something I knew little about. Turns out, neither did the experts. That did it. Amid a relieved sense of defeat, I called a meeting and rendered a distilled synopsis of the findings. I had figured a good cleaning with carbon tetrachloride, naptha or some other solvent would undo our mischief. Now I was forced to envision the track crews, track-mounted equipment and showers of sparks undoing the paralysis created by our mops and drywall buckets. G-men fanning out across Raleigh was not the sort of fame I ever counted on. 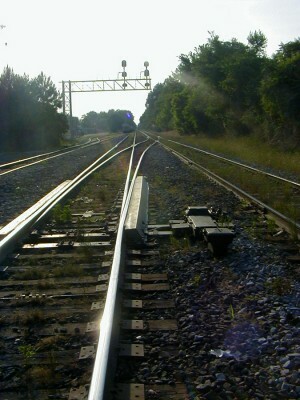 Y’see, railroad right of ways are Federal jurisdiction. 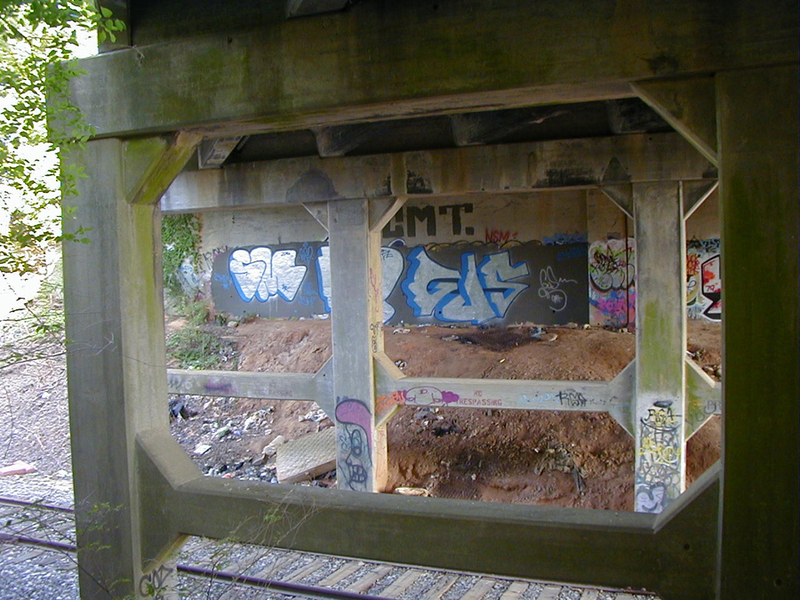 The gods must have heard us because, of course, Raleigh has retained and expanded our rail life. 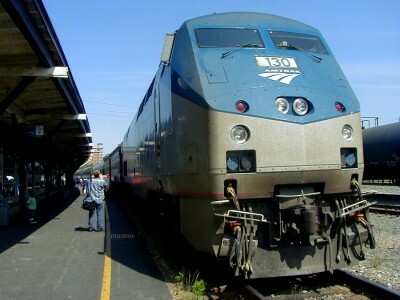 For years I wore that story out to whomever would listen, the justification being that we all loved trains and were determined to try to induce the powers to recognize that. Plus, fun’s fun, right? That thesis underwent a modification recently. I’ve been on a train kick the last month or two. One morning, I heard the Silver Star approaching the Cabarrus street station, intercepted it and approached the engineer, a straight-up union sort, following his descent from the locomotive. As we made small talk, I asked what he thought of his job. “Pain in the neck” and “nerve wracking” were two of the terms he used. I asked about the track-greasing. He winced. “I’ve slid through a town before.” In an instant, a change of perspective. The pro-forma story took on the air of cussing out a shop clerk over the price of pork. My change of heart perhaps triggered another sort of cosmic intervention around the same time one day as I strolled across the Boylan Bridge. I spied a Norfolk-Southern track crew futzing with the same “Boylan” sign I planned to steal for decades. I watched as the big neck dude tossed it unceremoniously to the ground. You can read more articles from Peter Eichenberger at petrblt. hey, don/t grease the rails when the silver star is running. i/ve taken that to baltimore several times, and it is one cool train. grease the carolinian – *that/s* a junk train anyway.